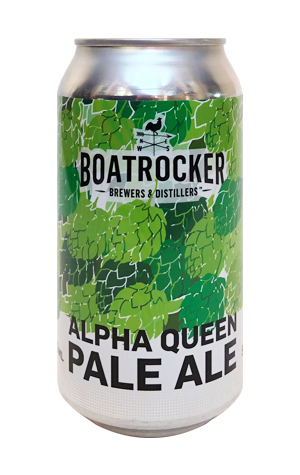 Alpha Queen was the beer that first set the boat rocking: an American-inspired pale ale in which the hearty character from British Maris Otter malts played as central a role as the US hops layered on top. Over time, it's moved around a little in terms of punch and weight, been packaged then draught-only and spawned a celebratory double version as the brewery has evolved into one of the most fascinating in the country. In early 2019, the beer returned to packaged form – in cans – and, while it would need a time machine to make a completely accurate assessment, it feels like the Alpha Queen of 2019 sits very close to those earliest versions. Deep copper and with citrus and pine aromas accompanying a toasted biscuity characters plus a bitterness some way above where most pale ales sit these days, it comes across as something of a throwback to the US-inspired pales of a few years ago before we all hopped on the tropical juice train.